But while the offer has changed significantly, the doctor's needs have also greatly changed, much more demanding on the content he seeks, willingly swinging between different contents, and looking for “efficiency”. Pharmaceutical companies and other stakeholders are not left out. Between "supply" and "demand", between "promotion" and "education", a world is changing ... Pierre will focus on these changes and his speech will serve as introduction to the third edition of the Digital Pharma summit. 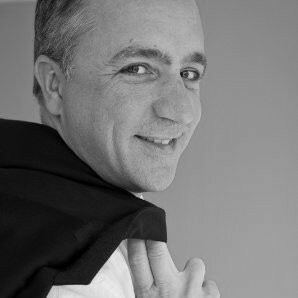 Co-founder of Actito (Previously Citobi, publisher of SaaS Actito software solution) in 2000, Pierre De Nayer is now CEO of Medcape BeNeLux, owning the MediQuality digital platform for HCPs, leader in BeNeLux with more than 60,000 active members. Pierre began his career by creating a company (now acquired by GSK) active in the field of biotechnology. He then joined Procter & Gamble Pharmaceuticals in 1994, and became a consultant at McKinsey & Company from 1997 to 2000, specializing in the pharmaceutical and biotech industries. He holds a master's degree in commercial science, obtained at HEC Brussels (ICHEC) in 1990, a master's degree in molecular biology (biotechnology - ULB-1993) and a master's degree in Philosophy (UCL 2008). Expert in digital approaches for health professionals, and in different aspects of e-health, Pierre regularly speaks in conferences on theses topics. He also leads, particularly in pharmaceutical companies, workshops on the philosophical questions posed by the technologies of the future.